The universe is slowly, slowly dying. Researchers from the International Centre for Radio Astronomy Research (ICRAR) in Western Australia came to the conclusion after measuring the trend of generated energy from 200,000 galaxies. Using seven of the world's most powerful telescopes to make the markedly more precise measurements, the international team of astronomers found that these galaxies are today producing half the energy that they did 2 billion years ago. More importantly, those figures are fading – and fast. Well, fast considering the universe is understood to be roughly 13.7 billion years old. The globe-spanning study measured the thousands of galaxies at 21 different wavelengths from the extreme ultraviolet to far infrared to come to the verdict. Part of the Galaxy and Mass Assembly (GAMA) project, the study used telescopes both on Earth's surface and three that orbit our inevitably doomed sphere. These findings affirm the notion that the universe is fading out, first widely accepted in the late 1990s. Those findings in the late '90s eventually became known as the "Big Freeze." To explain it as briefly as possible, the Big Freeze is when the stars of the universe can no longer generate or sustain the energy needed by the processes that consume it – such as, well, life – coupled with the universe's constant expansion. 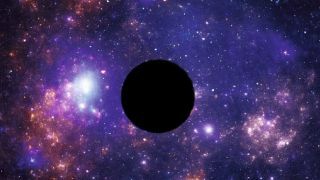 "The Universe is fated to decline from here on in, like an old age that lasts forever," GAMA team lead Professor Simon Driver wrote in the announcement. "The Universe has basically plonked itself down on the sofa, pulled up a blanket and is about to nod off for an eternal doze." For those of you that are feeling that "quarter-life crisis," the universe knows that feel too, bro.